Harry N. Abrams, 9781584798521, 240pp. 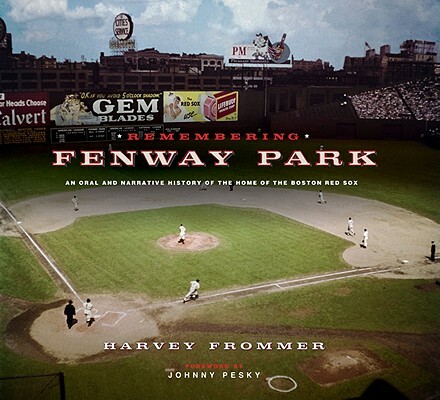 Harvey Frommer is the author of Remembering Yankee Stadium and more than 40 sports books. The oral historian and sports journalist is a professor in the Master of Arts in Liberal Studies program at Dartmouth College and professor emeritus at City University of New York. He lives in Lyme, New Hampshire. Johnny Pesky was known as "Mr. Red Sox" for his seven and a half seasons playing and many years as a coach and commentator for the team. The Red Sox honored Pesky by officially naming the right-field foul pole "Pesky's Pole" and retiring his No. 6 in 2008.